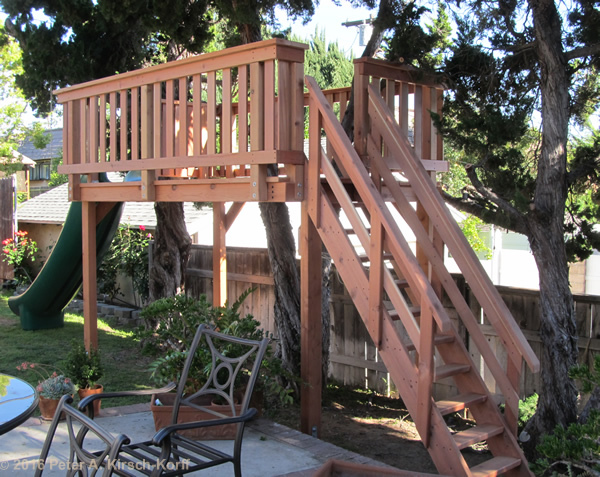 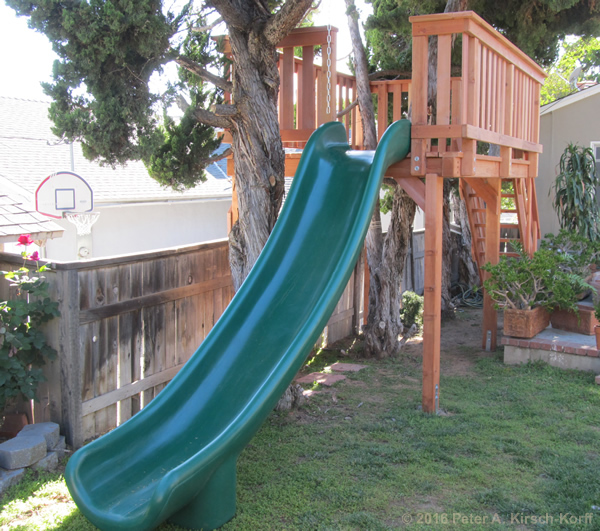 Showing heavy duty adult capable slide and location placed to provide additional play space in a small back yard. 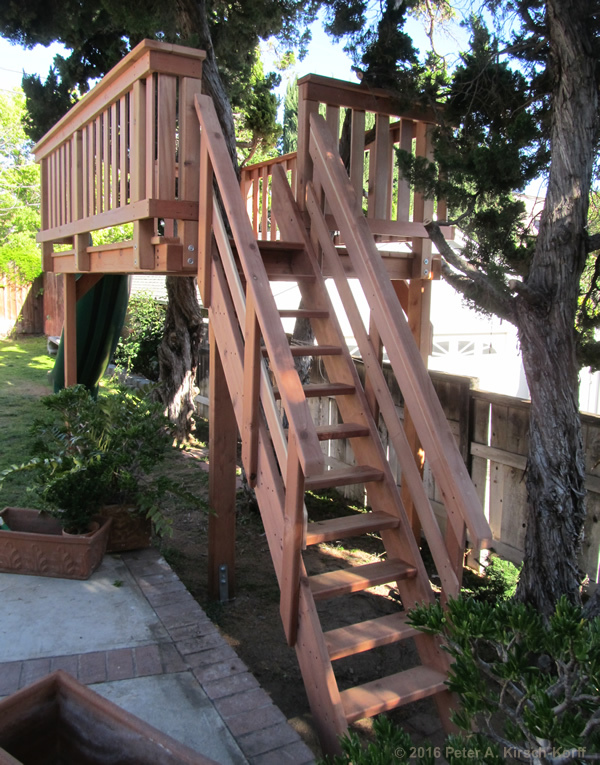 View of deck from patio showing access stairs and how deck overlooks but has privacy nestled among the trees. 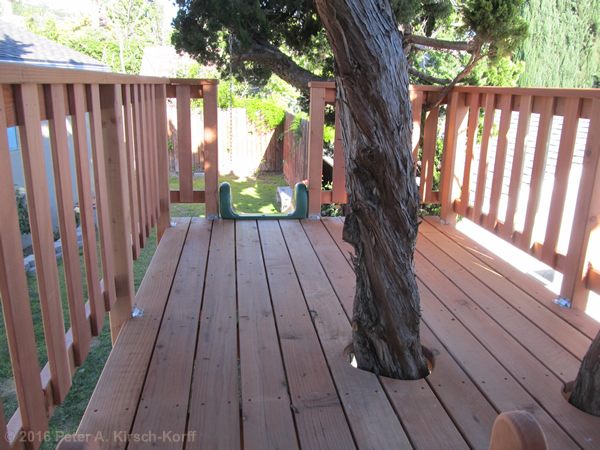 View from the top of the stairs showing living tree cutouts for growth and adult slide at other end.